Over the centuries Dunwich has been a Roman fort, the capital of a Saxon Kingdom and a major Christian centre. By the 11th Century it was one of the greatest ports on the East Coast of Britain with a population of 4000. At one point Dunwich was home to 13 churches. Over the years all bar one, the current St James Church, have been lost to the North Sea. Nowadays, the population of Dunwich is little over 60 (we have added considerably to this number by bringing 3 new permanent residents, 3 rescue dogs and 2 rescue ponies to the village!) but still has a lovely pub, ‘The Ship Inn’ along with a fish & chip café on the beach an of course Dingle Hill Tearooms right next door to Dingle Marsh Barns and also owned by the Barham family. The Dunwich museum, situated on St James Street is really worth a visit, it’s interesting and caters to both adults & children. Run by volunteers from the village we do like to support this museum as we believe Dunwich and it’s history is really worth knowing about. It goes without saying that Dunwich has some beautiful walks to explore. 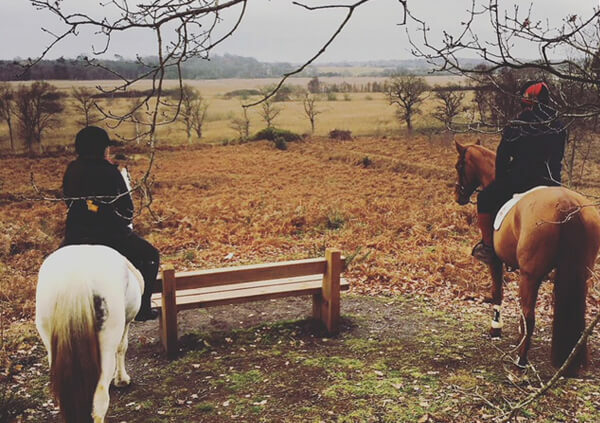 We have lived in the local area all our lives and Sophie still get’s lost sometimes on horse rides in the forest having found yet another trail. 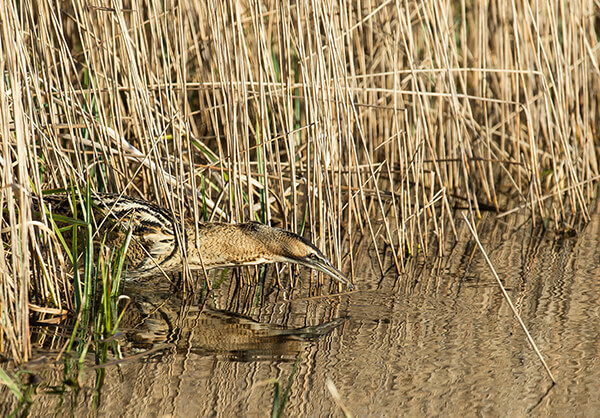 Famous for appearing on BBC Springwatch over a number years, Minsmere is just a 30 minute walk away from Dingle Mash Barns. RSPB Minsmere has been a reserve since 1947 and covers 2500 acres of reed beds, lowland heath & acid/wetland grassland and is set within an area of outstanding natural beauty (AONB). With plenty of walks, hides and the RSPB visitor centre and café, this is a lovely spot to spend the day for everyone from keen birdwatchers to young families looking to explore the local natural environment. We highly recommend ‘The Eels Foot’ pub on the edge of the bird reserve in Eastbridge as a perfect stop off for light, dinner or just a drink! 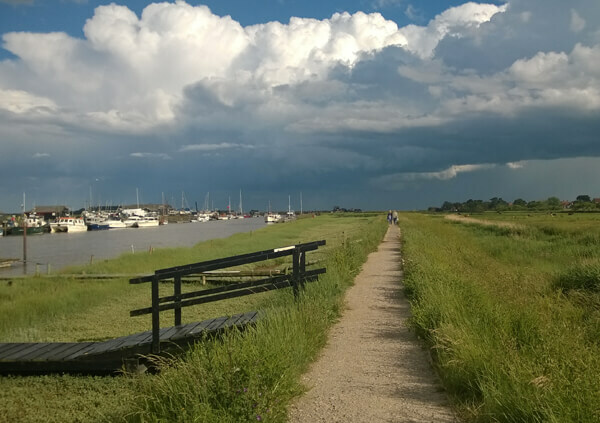 Dingle Marsh Barns is situated adjacent to the Suffolk Coastal path which means that by simply stepping outside of the cottage’s gardens you can be in Southwold in 1.5 hours via the footbridge at Walberswick. This is at a regular stroll, enjoying the views of the Dingle Marsh Nature Reserve as you go. Once in Southwold there is plenty to see and do with a number of good pubs such as The Lord Nelson and The Harbour. There is a working lighthouse, beach huts, an award winning pier, cliff top cannons and of course the beach. 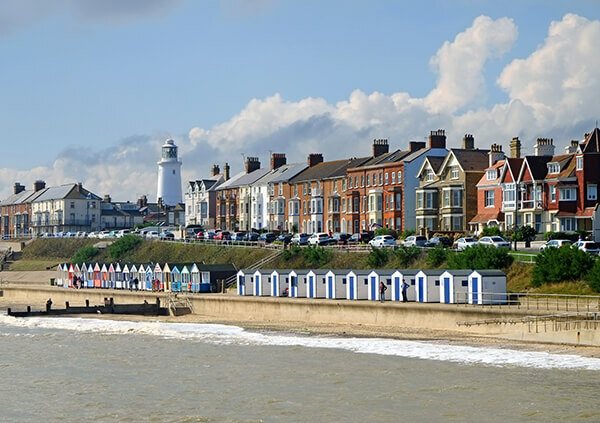 All these combined make Southwold a quintessentially English resort town. Before you get to Southwold why not stop off in Walberswick? Boasting two lovely country pubs; The Anchor & The Bell Inn, Walberwsick boasts a beautiful village green, sandy beach and a handful of Tearooms. Not as large as Southwold or Aldeburgh by any means but definitely worth stopping to explore. 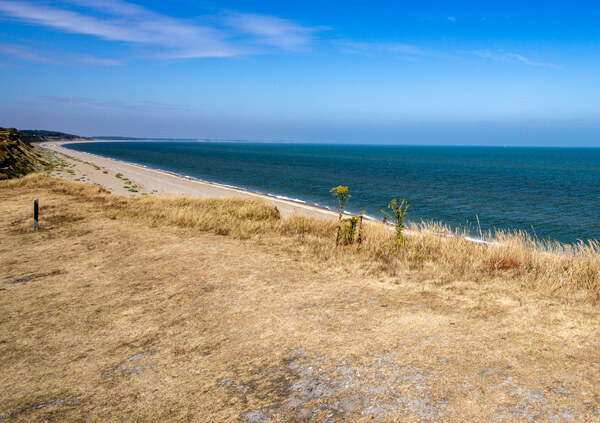 The Suffolk Coastal path will take you through the sand dunes from your cottage and into the sleepy village of Walberswick in 45 minutes or so. Here, there is either a foot bridge that will take you on to Southwold Common or why not try the quirky foot ferry still manned by an actual human being! 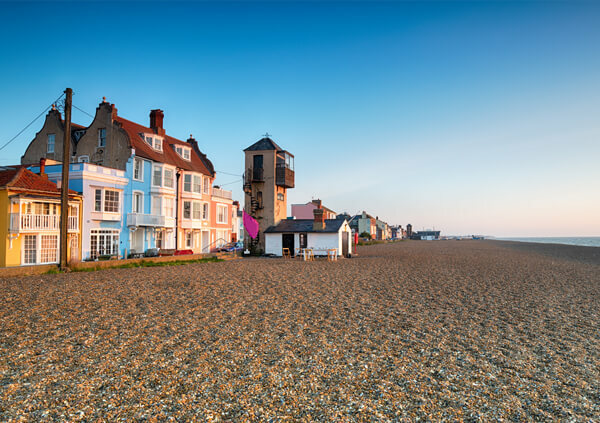 Heading south away from Dunwich and Dingle Marsh Barns, around a 20 minute drive, Aldeburgh is famous for its Fish & Chips (just ask Ed Sheeran!) and its ancient Moot Hall. With a bustling high street, there are plenty of independent shops to explore before heading to the beach for a refreshing walk along the coast. Home of the composer Benjamin Britten, there is plenty of culture to be found in this idyllic part of the Suffolk Coast with various concerts taking place just down the road from Aldeburgh at the famous Snape Maltings concert hall.